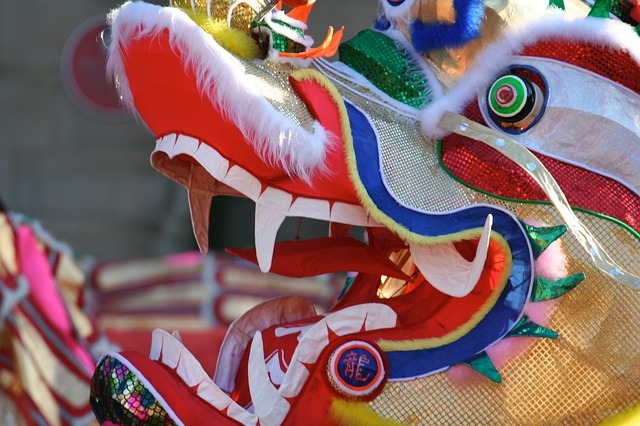 The annual Chinese Lunar New Year Parade brings lion and dragon dancers, floats, costumed performers, and lots of confetti to the streets of Chinatown. The 2017 New York Lunar New Year Parade happens on Sunday, February 5th. The parade starts at 1:00 p.m.. According to a map provided at the Better Chinatown website, the 2017 parade starts at the intersection of Mott Street and Hester Street, then proceeds down Mott, turning at Bowery,proceeding along Division Street, then running up Eldridge to Hester, where is continues one block east and turns to run north along Forsythe Street to the end of the route around the intersection of Forsythe and Grand Street. See the route map. A festival featuring foods, vendors, and festivities takes place in Sara Roosevelt Park after the parade.